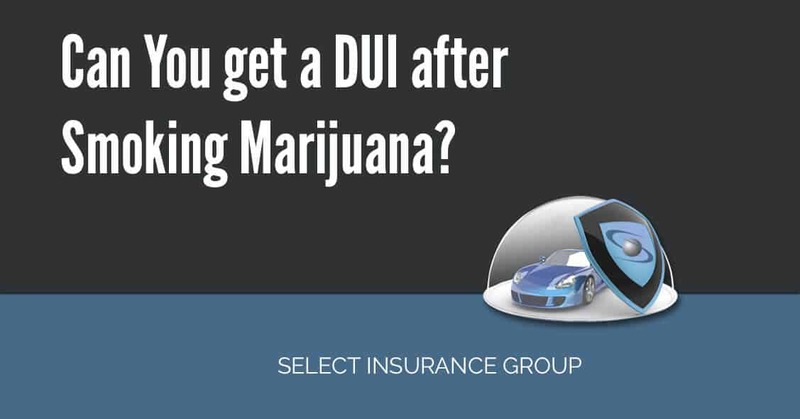 Can You get a DUI after Smoking Marijuana? Currently, there are 18 states that allow medical marijuana use, with Colorado and Washington allowing for recreational use. Impaired driving accidents occur daily due to driving under the influence of alcohol and other drugs. Marijuana is considered impairment to driving because like alcohol, it can affect a driver’s sense of perception, concentration or making the driver sleepy or relaxed, all symptoms that can impair one’s driving abilities. Unlike alcohol, marijuana can stay in the driver’s system long after the effects are gone. According to a National Institutes of Health study on the effect of marijuana compared with alcohol on driving, the effects of marijuana vary more between individuals than they do with alcohol. Marijuana users’ tolerance varies due to differences in smoking techniques and different absorption of THC, the active ingredient in marijuana. If you live in a state where marijuana use is legal and are pulled over during a traffic stop due to a suspicion of impaired driving, you may have blood drawn to see if THC is present in your system. In states like Washington, a person is considered impaired if a blood test shows 5.0 nanograms of THC, which is considered the equivalent to the legal limit of alcohol, .08. However, marijuana users may be issued harsher fines than alcohol users, who have also received a DUI. (Each State has various levels of fines and penalties). If you need financial responsibility coverage AKA “SR22” Insurance, please call one of our licensed agents at 855-438-7353 (855-GET-SELECT) or visit us online for a FREE QUOTE! Someone necessarily lend a hand to make seriously posts I would state. This is the very first time I frequented your website page and to this point? I amazed with the research you made to create this particular post extraordinary. Fantastic job! Likely I’m planning to bookmark your site . You surely come with good, informative content. Thanks for revealing your web site. web page is actually nice and the users are actually sharing good thoughts.